A Russian company called Hoversurf has displayed a hoverbike prototype known as the Scorpion-3 recently. 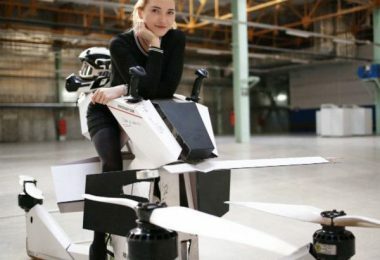 The company specializes in manufacturing drones and the new prototype is a single-seat vehicle which… Continue reading "Hoverbike Prototype Developed By Russian Company Is Designed For Extreme Sports"
The well-known fighter pilot E.V. 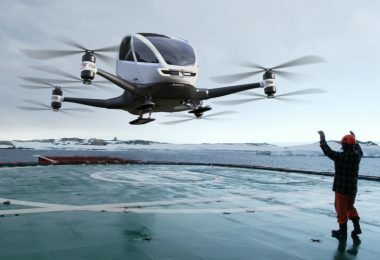 Rickenbacker predicted flying autos within 20 years back in the 1920’s (July 1924 issue of ‘Popular Science’,) which turned out to be somewhat off the… Continue reading "In 20s Flying Car was a Prediction but now Autonomous Passenger Drones are reality"